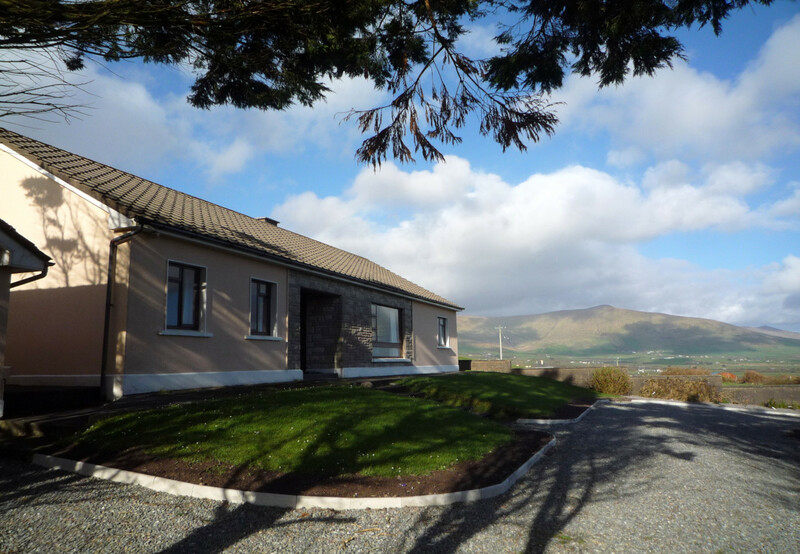 Located on the Dingle Peninsula, 1.5km from the colourfully and vibrant fishing town of Dingle on the Tralee Road (N86). 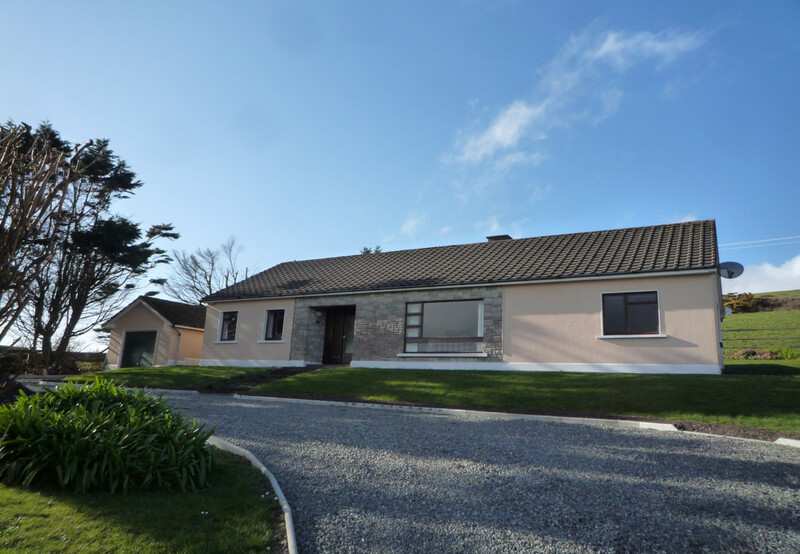 This delightful detached holiday home which sleeps 6 is a great base for visitors to the region, relax in the peace and quiet of the countryside, with the lively hub of Dingle town only a 2-minute drive away. 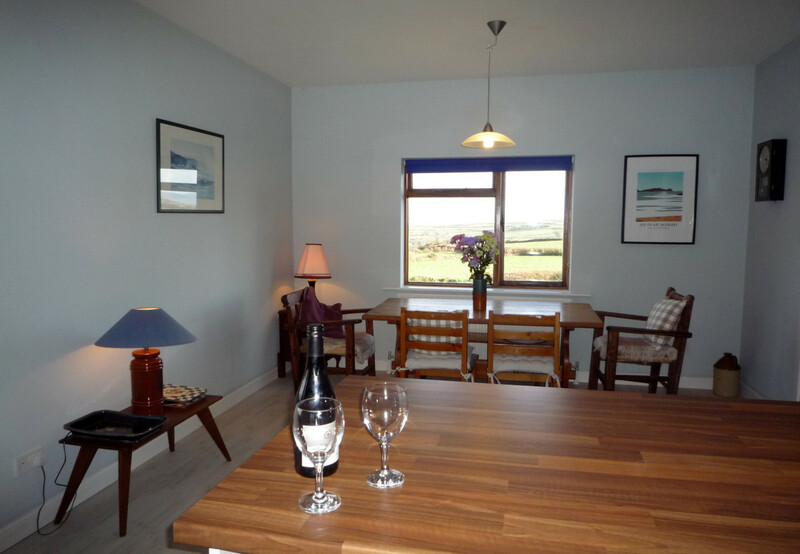 From Dingle Bay View Holiday Home, you and your guests will enjoy distance views of the Atlantic Ocean and Slieve Mish Mountains. 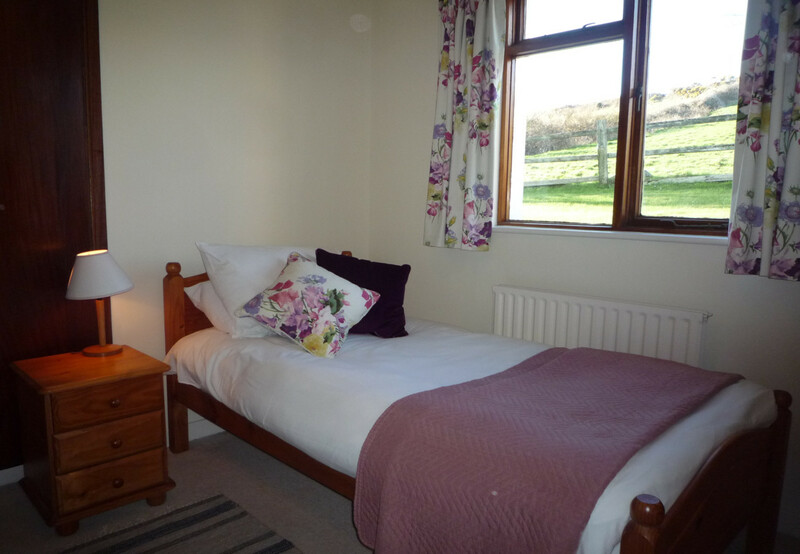 This holiday home comfortably sleeps 6 guests which is set over one floor. 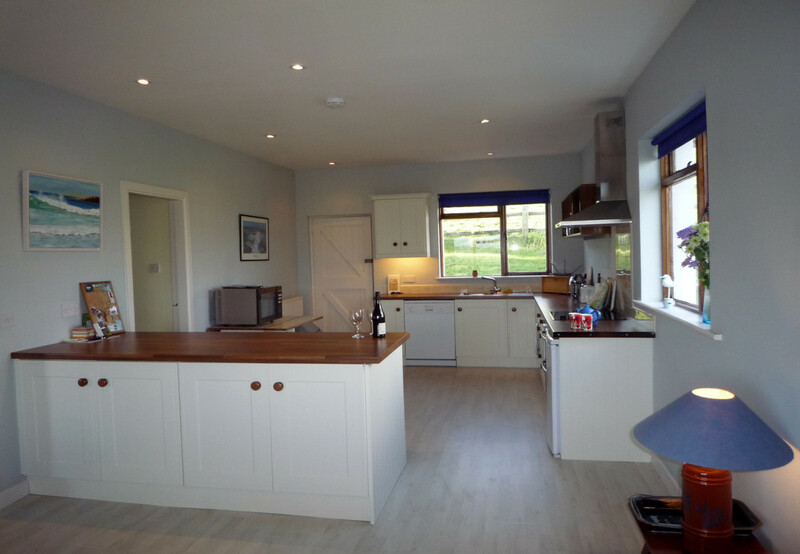 There is a modern country kitchen with dining area and a utility room. 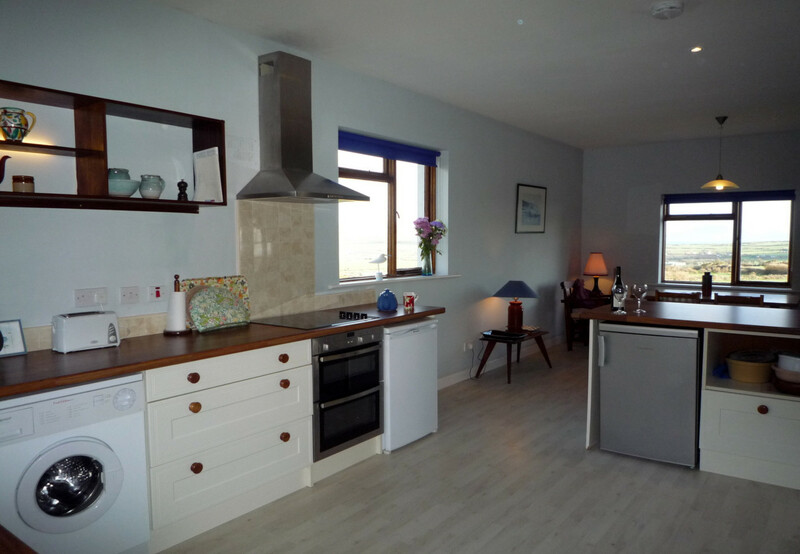 The kitchen is well equipped with all necessary equipment including microwave, kettle, fridge with icebox, electric hob & oven. A comfortable living room with 42” tv and open fire for cosy winter evenings. 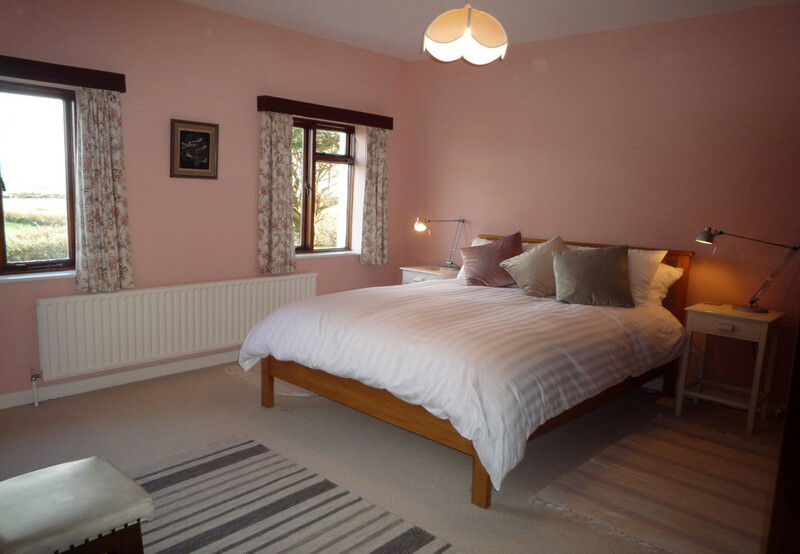 There are four bedrooms in total; the master bedroom has a 5’ bed, bedroom two has a 4’6 bed and the last two bedrooms have a single bed each along with a family bathroom with a freestanding shower. 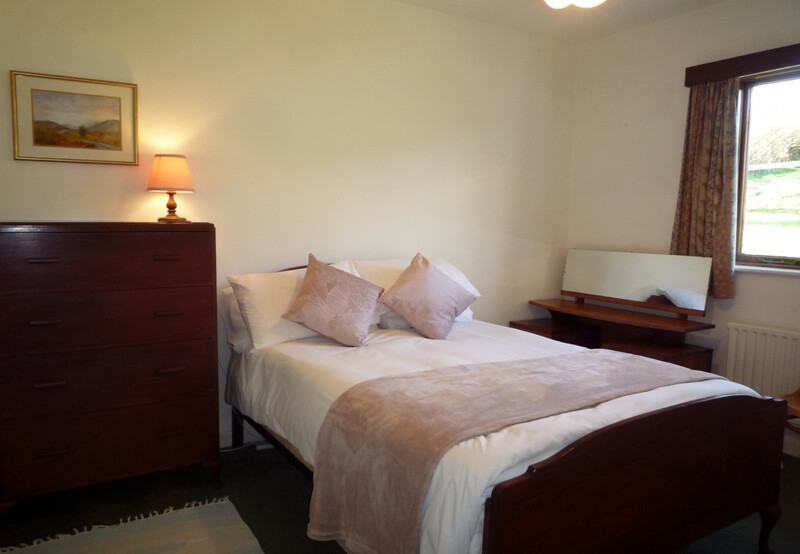 Outside there is ample parking and a large lawned garden with wonderful views of the surrounding countryside. Wi-Fi is available free of charge. 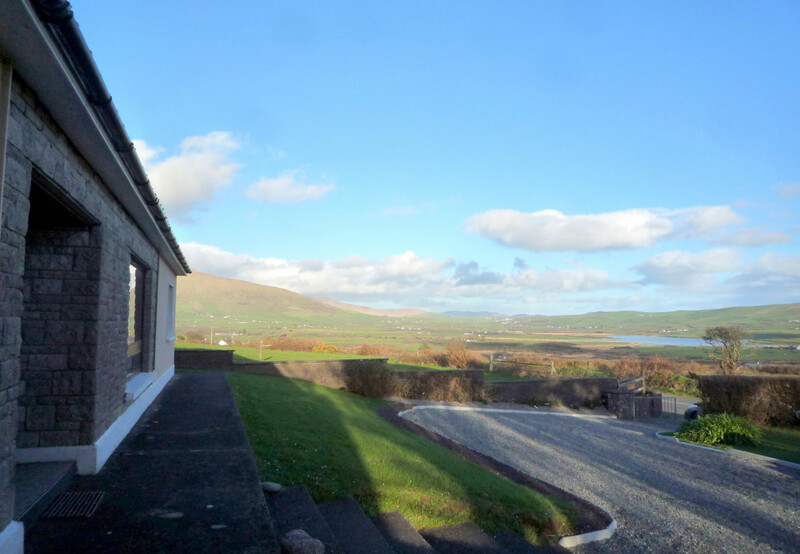 Dingle Bay View is a great base for a wonderful Irish getaway in County Kerry. 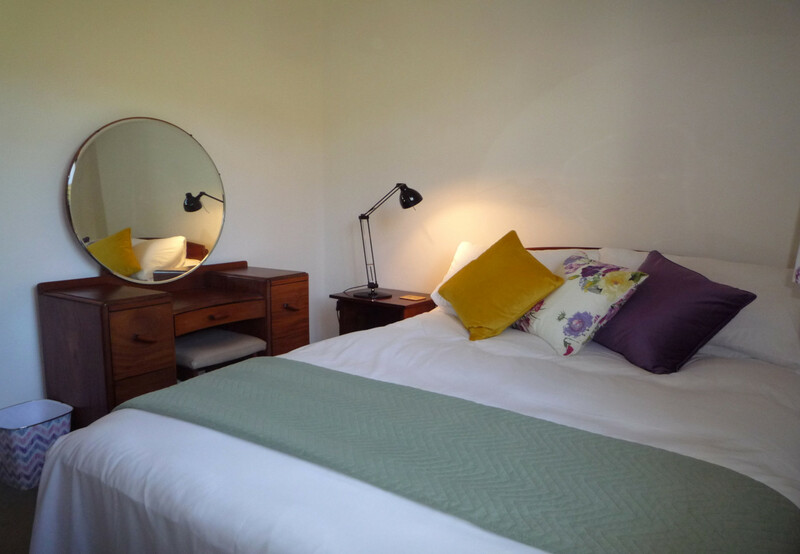 You and your guests will be spoilt for choice with places to go on the Dingle Peninsula. The nearest sandy beach is Beenbane Beach, 1.5km and Lispole village is 5 minutes East, 6km. Dingle is popular holiday destination for outdoor enthusiasts with ample outdoor activities including mountain trails and coastal walks. The Dingle Way, which is a popular walk on the peninsula, goes through the area, passing Minard Castle and Lispole village before joining a mountain track that leads to the old Conor Pass road and into Dingle. 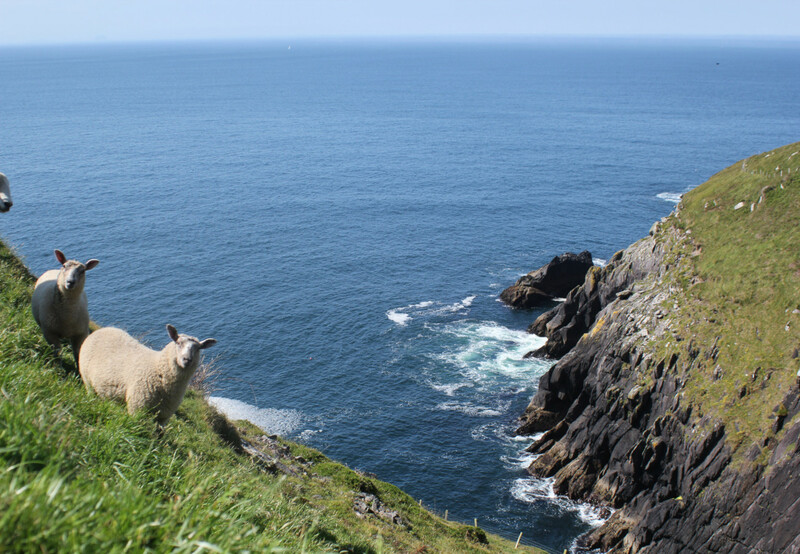 The Slea Head Drive is a circular route, forming part of the Wild Atlantic Way, beginning and ending in Dingle, that takes in a large number of attractions and stunning views on the western end of the peninsula. The route is clearly labelled by road signs throughout its length, to properly enjoy the drive, a half-day should be set aside for the journey. Take a day out to visit The Blasket Islands via passenger ferry from Dingle Marina. Watch out for Fungie the dolphin at the entrance to Dingle Harbour, then sit back and soak in the scenery as you round Slea Head and approach the Blasket Island. Inch Strand is a long sandy beach backed by a dune system reaching into Dingle Bay. Popular with surfers, anglers and swimmers, this Blue Flag Beach has lifeguards during summer season. Surf schools, water sports equipment and wetsuit is available to hire there locally. The Conor Pass is the highest mountain pass in Ireland, and provides the most dramatic and scenic way of entering or leaving Dingle. 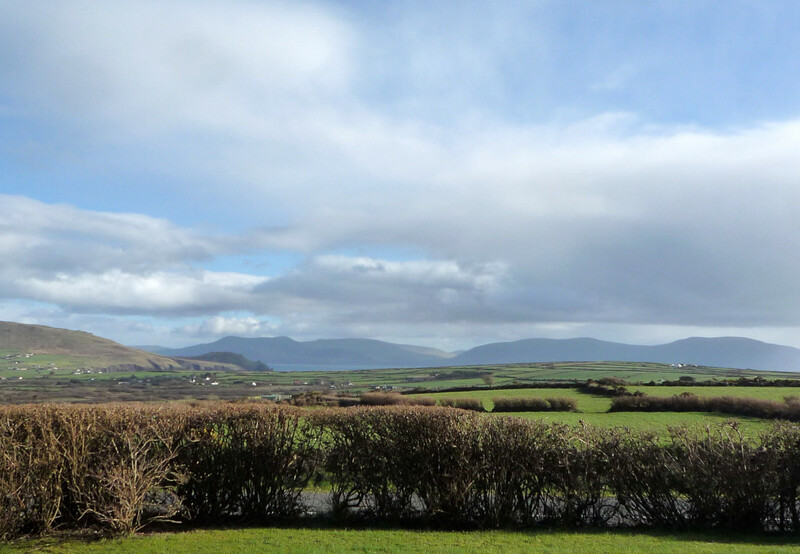 This narrow, twisting road runs between the town of Dingle and Kilmore Cross on the north side of the peninsula, where roads fork to Cloghane/Brandon or Castlegregory an enjoyable and memorable journey you must take when on a self-catering holiday in Dingle. 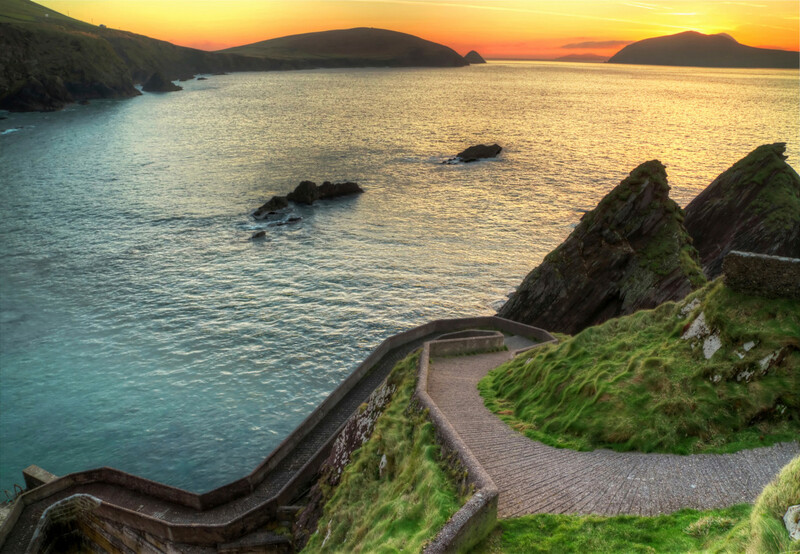 Dingle is a vibrant port town on southwest Ireland’s Dingle Peninsula, packed with a selection of delicious restaurants and an array of lively pubs – 38 we are told! Some pubs double as shops, so you can enjoy a Guinness and a singalong among screws and nails, wellies and horseshoes. 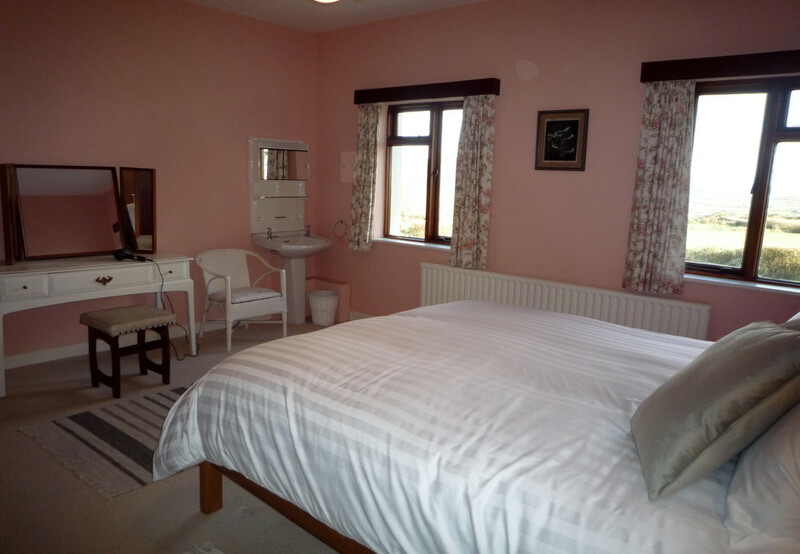 Please note that during peak season from June 29th to August 30th Dingle Bay View Holiday Home only accepts Sunday to Sunday bookings. TV Satellite, garden, iron, internet (Wi-Fi), Open-air parking.